Japanese name is Daizen. The Japanese name comes from the official post under ancient Japan's 'ritsuryo' legal system at the imperial court in charge of food called 'Daizen' during Japan's Heian period. 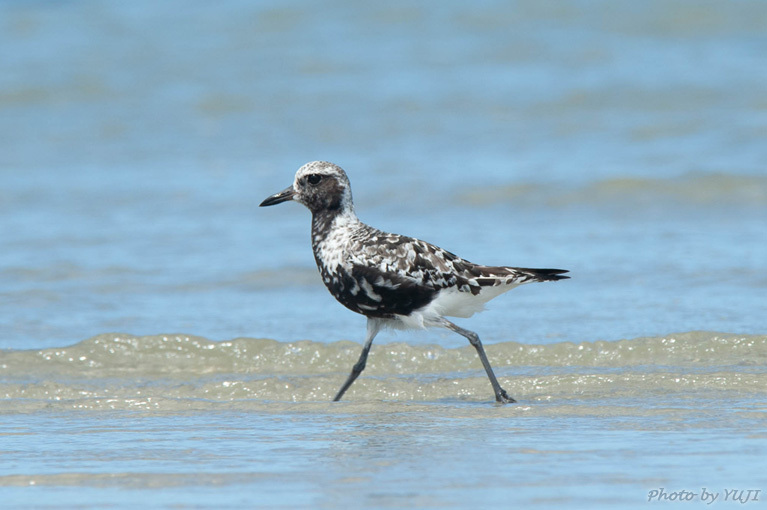 Pacific Grey Plover (Pluvialis squatarola) is similar to the Pacific Golden Plover(Pluvialis fulva). The back of Pacific Golden Plover is yellowish. Pacific Grey Plover is a little larger than Pacific Golden Plover.The total length of the Pacific Grey Plover is about 29cm. It's a migratory bird. It will come across as a winter bird to Okinawa. It's a Common species. They inhabit the coast and tidal flats.